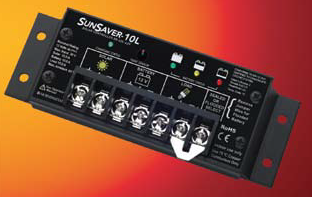 Morningstar SunSaver SS-10L-12V, PWM Charge Controller/Load Control 10A 12V | Free Shipping. Morningstar SunSaver SS-10L-24V PWM Charge Controller | Free Shipping. Morningstar SunSaver SS-6L-12V, PWM Charge Controller/Load Control 6A 12V | Free Shipping. Morningstar SunSaver SS-20L-24V | PWM Charge Controller/Load Control 20A 24V | Free Shipping. Morningstar SunSaver SS-20L-12V, PWM Charge Controller/Load Control 20A 12V | Free Shipping. Morningstar SunSaver SS-6-12V, PWM Charge Controller 6A 12V / Free Shipping. Morningstar SunSaver SS-10-12V, PWM Charge Controller 10A 12V | Free Shipping.